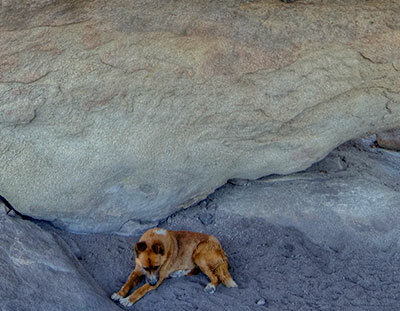 La Rumorosa Rock Art – A Survey of Kumeyaay and Related Artwork in Southern California, Colorado River Corridor, Western Arizona and Baja California. 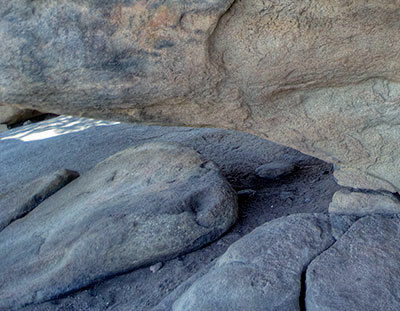 A Survey of Kumeyaay and Related Artwork in Southern California, Colorado River Corridor, Western Arizona and Baja California. Available NOW! 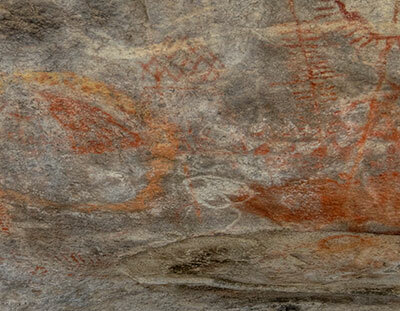 - the first Kumeyaay Rock Art Book! We are fortunate that these paintings survived the cultural genocide of the Kumeyaay way of life. 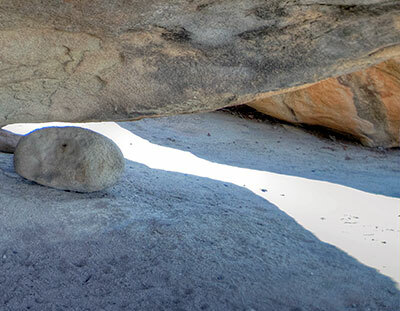 The first Kumeyaay Rock Art Book! 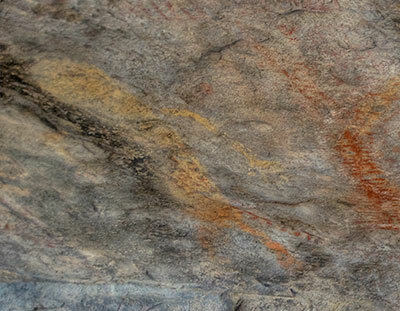 This art reflects a state of intimate, natural resourcefulness and respect, that mankind rarely achieves. 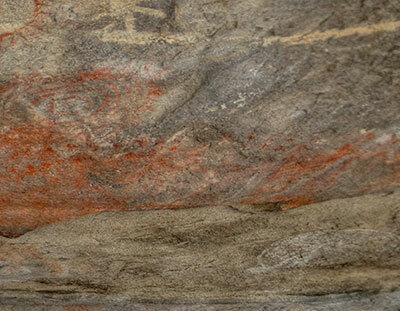 The purpose of this website is to document and share some of the spiritual communications of the Kumeyaay and Tipai Native Americans portrayed in their pictographs and petroglyphs. "For us the mountains, the rocks, the trees: all this is something important. As my grandfather used to say, this ground is the floor for your feet, the rocks and hills are your walls, the sky is your roof and the sun your light." At long last, after four centuries of interaction with Anglo society, the fantasy images of “cowboys and Indians” may possibly be fading and the Kumeyaay Native Americans are being allowed to enter our mainstream society. 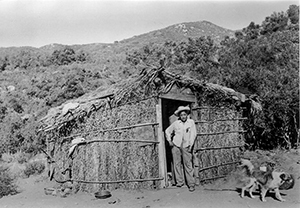 In large part because of the Kumeyaay’s new casinos and extensive philanthropic work, many believe that they have become a welcome and integral part of our community. Over 150 color photos and interviews with Tipai Native Americans. Contributions by regional Native Americans and leading archaeologists like Ken Hedges, Steve Shackley, Polly Schaafsma, Lynn H. Gamble & Michael Wilken-Robertson and Ben Swadley. Published by Desert Trails Publishing; 320 pages; $22.50 USD. For more information about our book and how to order, please click here La Rumorosa Rock Art Along The Border. A Review of our book by Dr. Polly Schaafsma! "Your most beautiful book has arrived and it is impressive! Thank you for inviting me to participate! It looks like it will be a major reference for the northern border region of Baja and D-Stretch is a big help with so many of these panels. Also want to mention that I was pleased to see the endorsement by Doug Peacock. He doesn't know me, but I've met him a couple of times in connection with Karl Kernberger and Abbey…I'm a dedicated fan of Abbey on the environment, and in that crowd best know artist John DePuy. Long-time friend. Thank you once again and congratulations of a fine production!!" Dr. Polly Schaafsma, Polly Dix Schaafsma is an American archaeologist, best known for her publications on Native American rock art. Schaafsma is a research associate in the Laboratory of Anthropology, Museum of New Mexico, Santa Fe, New Mexico. 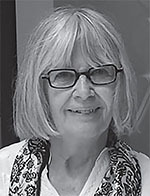 Her books include, Rock Art in New Mexico (1972). Her other books include Indian Rock Art of the Southwest (1980, now in its 10th printing), and Images and Power: Ethics and Rock Art (2012). 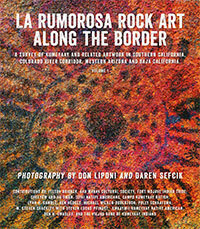 Order your copy of "La Rumorosa Rock Art Along The Border" here.